Have you noticed how popular all things little and cute are recently? 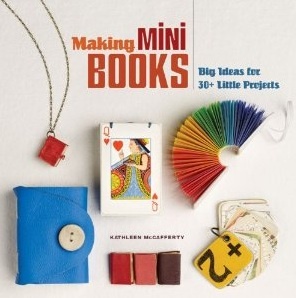 Lark Books is right on target with Kathleen McCafferty's newest book, Making Mini Books: Big Ideas for 30+ Little Projects. You'll learn great techniques for binding all different types of materials together, and even though these are pint-sized projects, you'll be able to apply the techniques to other projects of your own choosing too. I love that this book promotes the use of recycled or upcycled materials more than store-bought supplies. I also love the emphasis on learning many stitched binding methods. If you don't love the needle the way I do, you'll find plenty of stapled and folded alternatives here too. This book has plenty of the beautiful photos that Lark Books is famous for, and there are so many innovative materials used, it will set your mind spinning! One of my favorite techniques is Japanese stab binding, and there are a number of inspirational projects using this method, including one that also uses recycled papers for the pages! Ooooo!!! 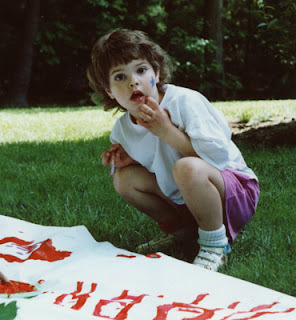 I want to see what you made!